When you think of early Jewish life in America, you usually think of immigrants who settled in urban centers like the Lower East Side of New York and in Baltimore. But archaeologists and historians are abuzz about recent findings at an excavation site in rural Connecticut. 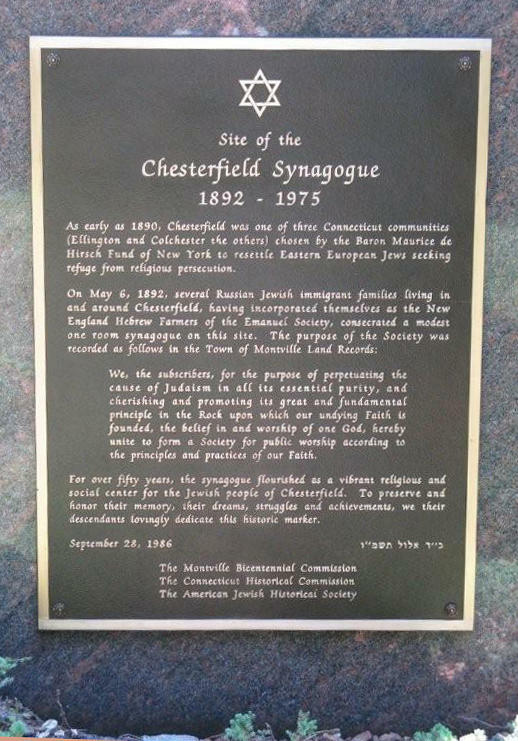 Old Chesterfield is home to the remains of a 19th century Jewish farming community. There is a synagogue and, surprisingly, a ritual bath called a 'mikveh', which is rarely seen outside of cities. State Archaeologist Nick Bellantoni says Connecticut officials and area residents knew about the site for quite a while. "When we invited Stuart to come out and take a look at it, well, he gave us a whole new perspective of the significance of it." Stuart Miler is a professor of Judaic Studies at the University of Connecticut. "I really didn’t know what to expect. I work in antiquity. My specialization is in Talmudic Israel or Roman Palestine. We have excavated a mess of stepped pools is the technical term for them, but they are ritual baths. They’re pools that are used for ritual bathing from the first few centuries of the Common Era. 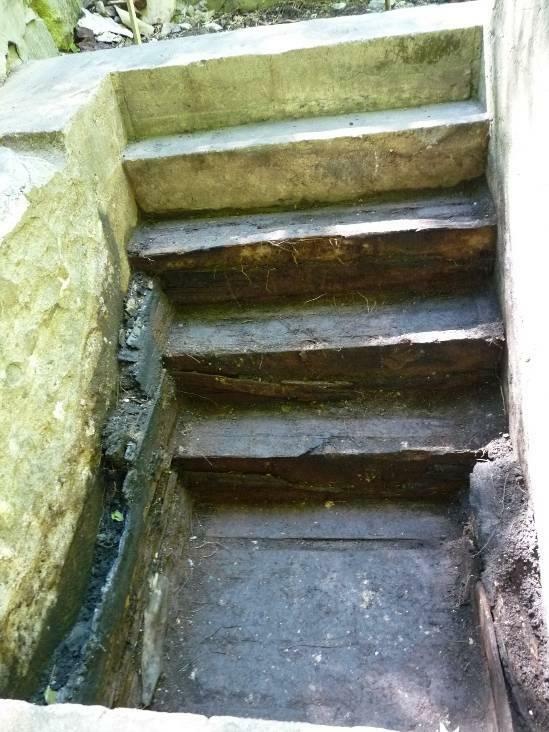 So (Nick) is walking down the hill, and I see that there is at least the structure of a basement and I look over the southern wall, I look down and I see, remarkably, this cement structure sticking out of the ground and my exact words were, 'You didn’t tell me you had the pool!' What’s this doing here?- was basically my reaction. This is not New York, this is not Baltimore, this is Chesterfield. This is really going to contribute to a new understanding of religious life among the immigrants." 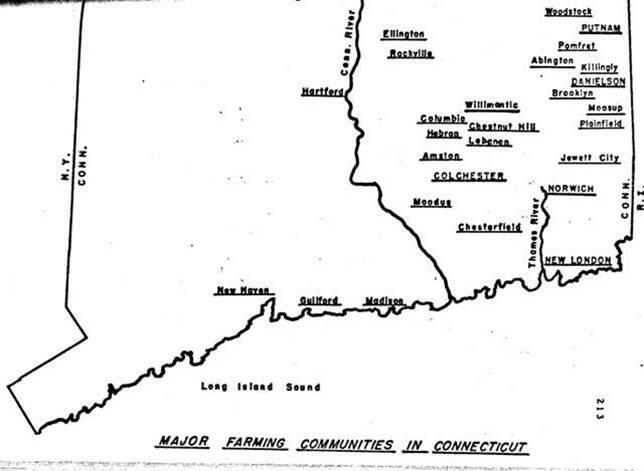 MIller describes some of the history of 19th century Jewish farming communities in the U.S.
"Baron de Hersh was a philanthropist from Bavaria and he funded basically this whole enterprise. On the one hand, he wanted to enable Jews who were fleeing persecution from the Pale of Settlement in Russia to all sorts of place. On the other hand, he realized they couldn’t all settle on the Lower East Side. They couldn’t all settle in cities. And that’s perhaps…a whole other road that they should take which, is to try a different profession which was farming. 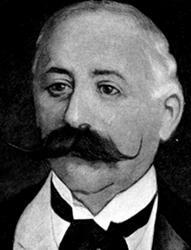 And so he settled a lot of Jews in as far away places as Argentina, out West in the United States, upstate New York, but the most well-known communities, and in a certain sense the most successful, would have been in Southern New Jersey and in Connecticut. 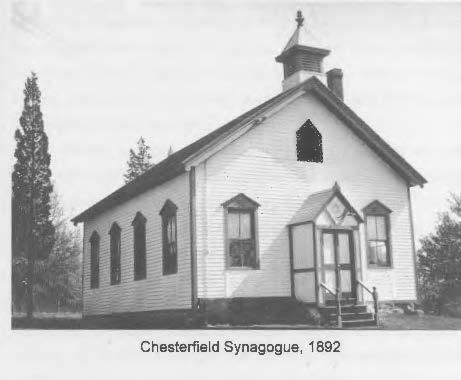 The extraordinary thing here is that we have a snapshot of one of the earliest communities and we have not just a synagogue, the house in which the mikveh is located, which was really just the ritual slaughterer’s house, and the inclusion of a mikveh ritual bath means that they’re very serious about their traditional Jewish life." 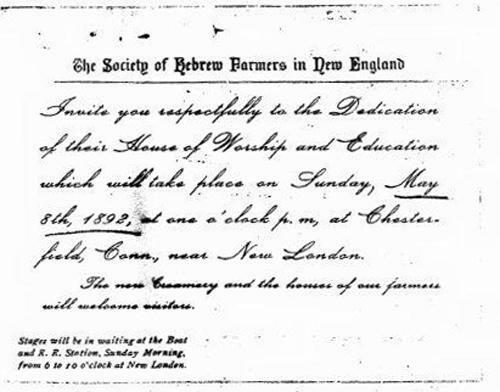 Bellantoni says the state is currently working with descendants of the settlers, called The New England Hebrew Farmers of the Emanuel Society, to preserve the site. 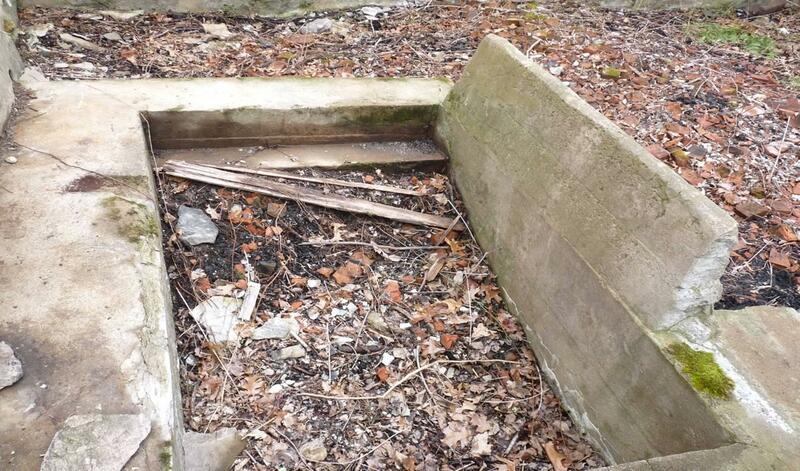 "There is a monument in dedication there are also signs listing it as a state archaeological preserve and that there are state penalties for anybody getting too curious out there. The site has tremendous integrity which means it’s still capable of yielding important information about the past and certainly about these early Hebrew communities. " An archaeological dig has uncovered ceramics, glassware and toys.